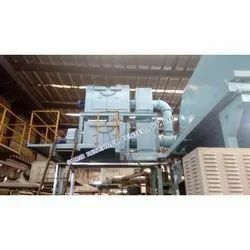 Offering you a complete choice of products which include electrostatic precipitator. An Ultimate Electrostatic-filter for the extraction and control of oil mist, fumes and dust in the work environment. Shimi Research Center Private Limited with its expertise in the field of pollution control equipment introduces the highly efficient, compact, indoor filtering system, IONVENT®, to suit various customer needs. IONVENT® works on the basis of electrostatic precipitation technology where impurities are initially charged and then collected on the oppositely charged surface giving absolutely clean air discharge. It can arrest a wide range of particle sizes as low as 0.01 micron to 100 microns. The system can be combined with any extraction mode such as a flexible arm, hood, etc. Cleaner environment with a “lesser spaced” system.